OTTAWA, Ontario (CelebrityAccess MediaWire) — After already canceling a string of European concert dates earlier this month, after guitarist Frank "Poncho" Sampedro fractured his hand Neil Young & Crazy Horse have announced that they are pulling the plug on their remaining North American dates as well. "We are sorry for any inconvenience this causes to our fans or the festivals where we were scheduled to appear," Young's representative wrote in a statement. "[The] doctor indicated that Sampedro's hand requires additional time to heal properly … As you must be, we too are disappointed at this unfortunate turn of events." Canceled dates include The Greenbelt Harvest Picnic in Ohio on August 31; Capital Theatre in New York on Sept. 2nd, the Ottawa Folk Fest on Sept. 4th, and the Interlocken Music Festival in Virginia on Sept. 7th. A September 21st show at Farm Aid in New York and the Bridge School Benefit in California in late October are both still on the books at present. 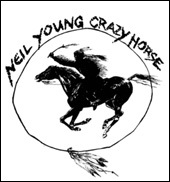 Young & Crazy Horse have been touring behind two new albums, Psychedelic Pill and Americana.